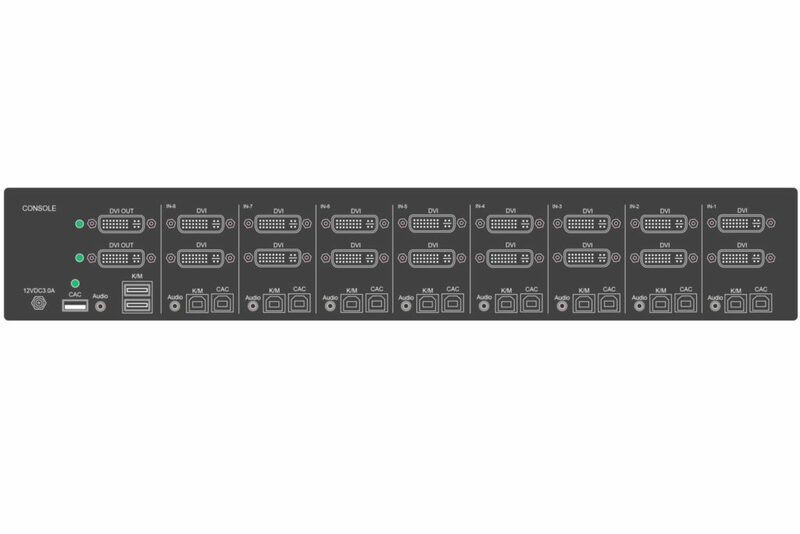 Secure 8-port, dual-head DVI-I KVM switch with dedicated CAC port. Dual-head DisplayPort to HDMI interface. 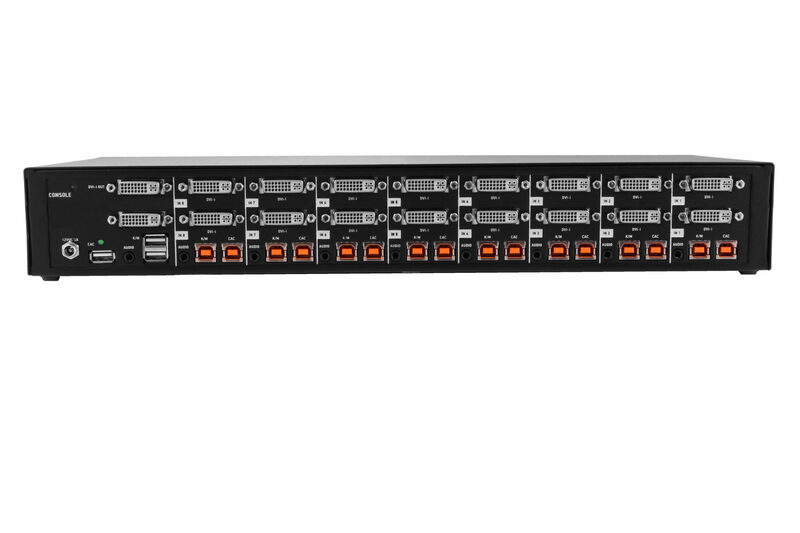 The SDVN-4S-P is a 4-port, dual-link DVI-I KVM switch with a dedicated CAC port and support for 2560×1600 @ 60Hz resolution video. 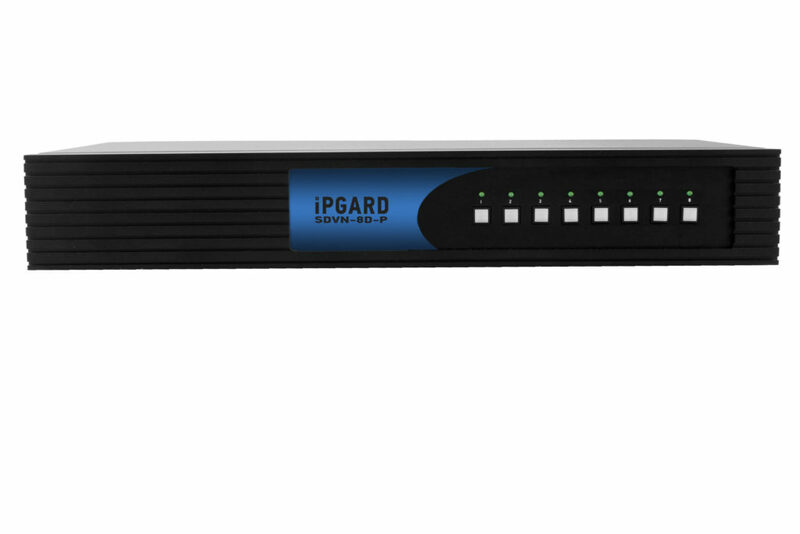 Many secure KVM switches support CAC devices, such as smart-card and biometric readers, bolstering security when using the device. 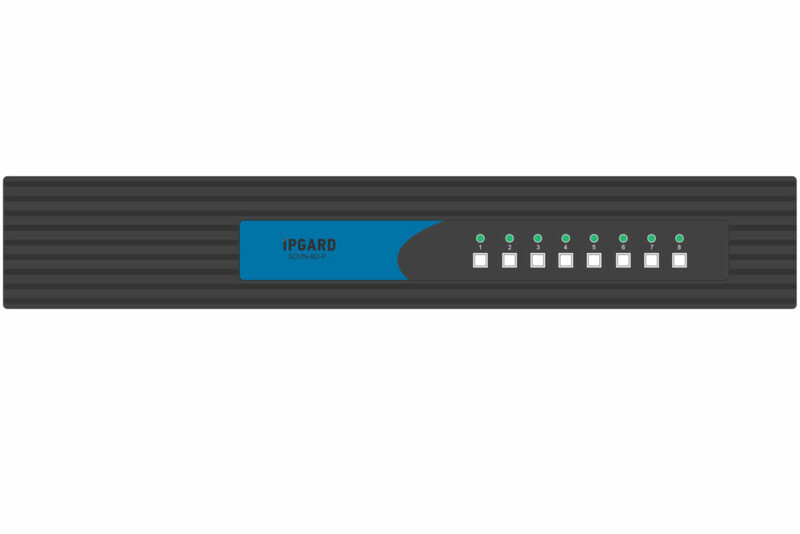 However, SmartAVI takes CAC security even further, allowing users to assign specific peripheral devices to the SDVN-4S-P’s CAC port. Once a peripheral device has been registered by an authenticated admin, users can then switch the connection between that device and the PC’s along with KVM switching.